Inspiring organising by Fellow Workers in Texas. 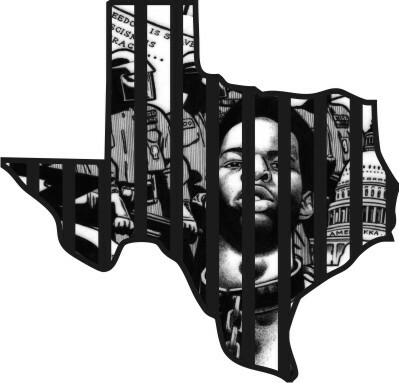 Monday April 4th 2016, Texas prisoners will begin a SERIES of Statewide Work Stoppages, Strikes, and Slowdowns to force the Texas Legislature to address much needed Reform to the Parole, Medical, Grievance, and, Legal System in Texas. Prisoners are also DEMANDING Humane Living Conditions and Treatment. The above FACEBOOK PAGE is for your Freeworld Friends and Family to join – Their support is essential to show that these issues can no longer be ignored. The Facebook Page is also a place where you can report about the Work Stoppage and make YOUR voice heard – get them to post your testimony/stories about why our DEMANDS (see above) must be met. 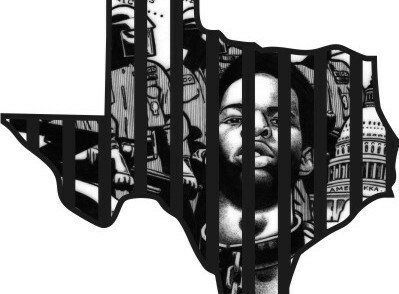 This is a valuable resource for the MEDIA to see what is really going on in Texas Prisons. It is also a tool for COLLECTIVE ACTION, if, for example, the Guards on your Unit retaliate against you for exercising your Right to peacefully protest unjust laws and treatment, you can write or call home and get your family to post on Facebook for everyone to call the warden, ombudsman, or the Media and DEMAND the retaliation STOP. 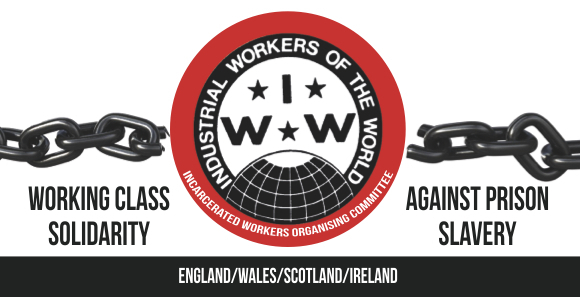 This work stoppage has Freeworld Support, including from IWW – The Industrial Workers of the World. 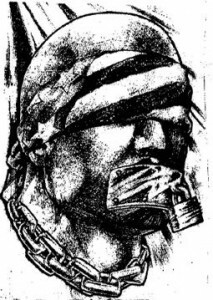 It is a part of a larger MULTI-STATE Work Stoppage planned for 2016 to put strategic pressure on the Prison Industrial Complex and to End Mass Incarceration and Prison Slavery (Uncompensated Servitude). Our Justice System is broken. 1 out of every 100 Americans is now behind bars.70 Million Americans have a criminal record. We are NOT alone. We have a critical moment of opportunity. But we must TAKE A STAND! “Revolution Begins From Within” -F.T.S. Meaningful Work Time – Applied retroactively, when our Flat Time and accrued Good/Work Time equals 100% we should be ENTITLED to Mandatory Supervision I Parole. We want a “Presumptive Parole System” which requires the release of a Prisoner at their earliest release date, unless there are valid objective reasons not to do so. Those reasons might include poor institutional behavior or refusing to participate in programming. The nature of the crime or any other “Static Reason” (things prisoners can NOT change) would NOT be a valid reason to deny parole. Repeal/Overturn the $100 Medical Copay – The underlying motive for enacting the $100 Medical Copay was to discourage prisoners from seeking medical care. Medical is a basic Human Right and since Texas prisoners are NOT paid for their labor, it is fundamentally unfair and counter productive to charge such an excessive Copay to wards of the State. Right To An Attorney on Habeas Corpus – We want the law changed to provide a Right to an Attorney on Habeas Corpus. The current structure, design, and operation of the Texas Procedural System dictates that no indigent prisoner in Texas will have the benefit of counsel in raising a valid claim of ineffective assistance of counsel. After the Supreme Court rulings in Martinez and Trevino the lack of appellate counsel for raising such claims raises serious questions of Constitutional Magnitude. TOCJ Oversight Committee – This is a Bill that has been proposed over the past few legislatures but has not been made into law. This Bill will restructure our Grievance Process and create an independent committee to review our Grievances off the Unit. The committee will have special investigative powers – like doing a walk-in inspection without prior notice. Humane Living Conditions and Treatment – We are Humans. We have the right to be treated with dignity and respect. We have the Right to safe living conditions. We are DEMANDING that TDCJ make the necessary changes to ensure that we have A/C during the Summers, Adequate Medical Care, Sufficient and Nutritious Meals, Limited Use of Solitary Confinement, Education for Ad Seg Prisoners, a four stage process to release confirmed Seg Prisoners from Solitary, Freedom of Religion and Association, Fix leaking roofs and roach infestations – and all other conditions and treatment which violates our Human Rights.